The instructors, trainers and schools on this page offer silver metal clay training at all levels in the USA. You will also find worldwide PMC and Art Clay Certification training providers on this page. Some will travel outside their home area, see the listings for details. All links open in a new window. Content checked in July 2018. Barb Feyka is a Certified Art Clay Instructor and provides private instruction for all skill levels from absolute beginners to those wishing to refine skills or refresh techniques. She provides all the tools you will need at her fully equipped studio in Westminster, Colorado. This is a suburb just North of Denver. Before your class she will discuss your objectives, your experience level, your goals and your jewelry style. From there, she will create a custom course designed just for you. 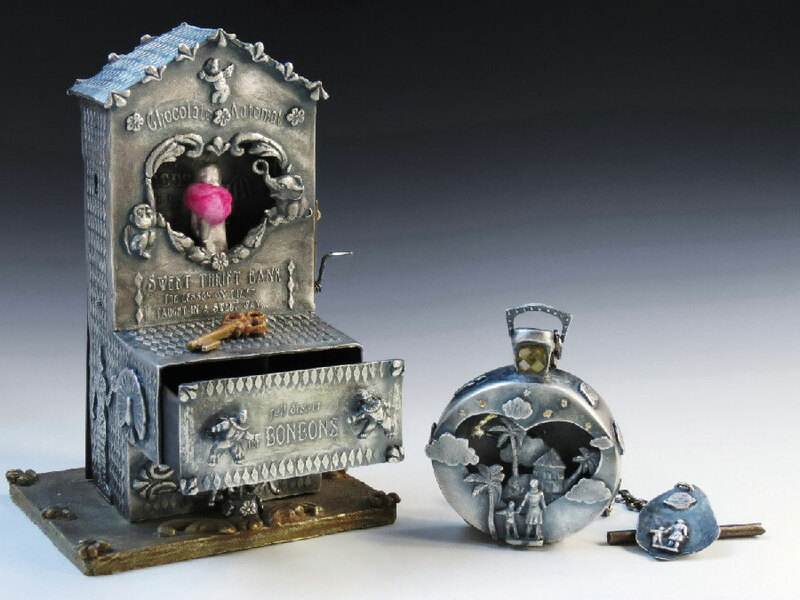 Barb also offers instruction to those wishing to explore the possibilities of combing metal clay with the designing/ cutting/ etching capabilities of the Silhouette Curio. Various workshops in Precious Metal Clay PMC and Bronze clay. They also run basic glass fusing classes. Senior Certified Art Clay Instructor Christy Anne Miller offers private metal clay lessons. The education section of this website has lots of useful information to help you find an instructor. PMC advanced classes running in various locations including complex hollow forms classes. Barbara also offers private tuition, Bronzclay classes and texture making classes. Beginners to advanced level metal clay classes, also offers private lessons. Wide range of jewellery making classes including metal clay. Precious Metal Clay Silver, Bronze and Copper beginning to advanced classes. 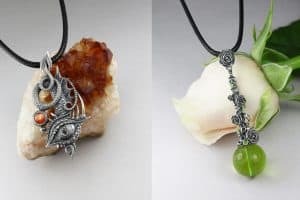 Also offered are glass (lampwork beads and fused glass), enameling, simple soldering, silversmithing (forging, fold forming, Keum Bo, etching, hydrolic press, clasps, stone setting, pewter) and jewelry making classes including wire wrapping, chain maille and beading. Private lessons are available in all media for vacationing artisans and crafters as well as local students. PMC project based classes for all levels. Celie also teaches texture making by carving and the tear away technique. Jewelry making classes including metal smithing, beading, wire wrapping, bead weaving, chain maille, enamelling and metal clay classes. Lapidary and gemology classes. Wide range of classes including beginners to advanced metal clay. Cindy also teaches at other venues in the USA. Art Clay Certifications, metal clay beginners and intermediate classes. Silver metal clay classes. Also offer bronze and copper clay classes, traditional jewellery making classes, glass and enamel classes. PMC classes from beginner to advanced, metal smithing classes, enamel and fold forming. Metal clay for beginners classes, UV resin classes, pendants and bails classes and copper clay classes run by Carrie Story. Metal clay classes at all levels. Introduction, Intermediate and Advanced Precious Metal Clay classes designed by Irina Miech. This Arts and Crafts school runs metal clay classes as well as jewelry making and silver smithing classes. Lots of other arts and crafts classes too. 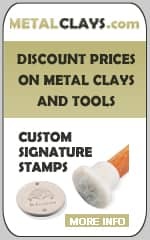 General metal clay classes and PMC Connection Level 1 Certification. 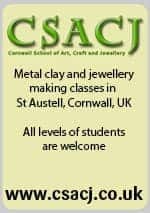 Silver metal clay classes for all levels from beginners to project based classes, bronze clay classes, metal clay and glass classes. Also offers private lessons. Holly offers silver metal clay classes with an emphasis on developing the creativity of the artist within. Innovative technique based lessons are presented to inspire, strengthen technical and design skills, and elevate the students abilities to the next level. Beginner; Advanced; Negative Space Caning; Metal Clay Repoussé and carving; Creative Prong solutions for setting irregular shaped items (titanium). She also has online classes. PMC classes from beginners to advanced. Beginners, intermediate and advanced PMC classes. Bronze clay, PMC and enamelling workshops. PMC beginners and project based classes. Also offer wire wrapping and soldering classes. This school runs a variety of PMC classes. Jonna runs a variety of project based Art Clay classes for all skill levels. Beginners and project based metal clay classes. Precious Metal Clay PMC beginners classes. Advanced metal clay classes, visiting artist Masterclasses. Metal smithing, enameling and metal clay classes at all levels. Art Clay Certification Level 1 and 2, PMC crossover classes, beginners classes, bronze and copper clay classes, speciality classes for intermediate and advanced students. Also teaches enamelling and texture making. Beginner to intermediate metal clay classes and Art Clay Certification. Art Clay and silver clay classes, enameling, fabrication and silver working classes. 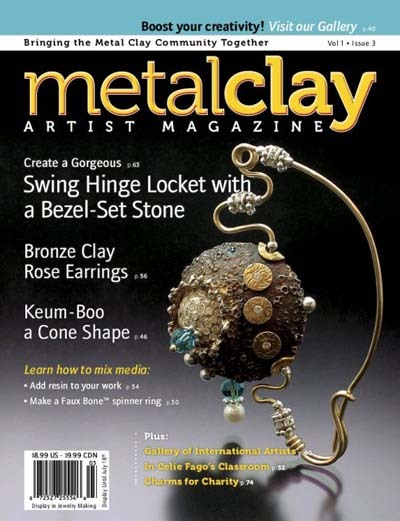 MetalClay Arts Conservatory (MAC ) was founded by internationally published, award winning artist and metal clay innovator, Wanaree Tanner, to illuminate the mechanical and practical process of creating metal clay art as well as encourage the participants’ individual artistic expression. The Conservatory features both online continuing education courses ranging from Project Workbooks to Comprehensive Courses as well as one-on-one private intensives with Wanaree at the Conservatory Studio located in secluded rural Illinois. The courses and programs are filled not only with technical training and skill application, but also design development and artistic styling. This not for profit jewelry school runs a number of Precious Metal Clay PMC classes. Private lessons, Art Clay Level I, Crossover or Senior Certification from Michela Verani. Introductory and intermediate Precious Metal Clay PMC classes. Pam East is an internationally known artist, writer and teacher. She has been an enamelist since 1997, and was named a Master Instructor by Art Clay World, USA in 2005. 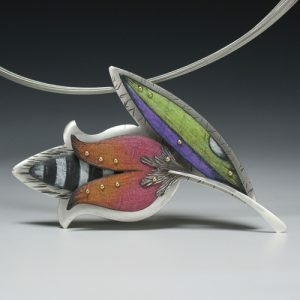 She offers classes in metal clay and enamalling in GA and NC. Beginners and intermediate level metal clay classes. Beginners PMC and base metal clay classes. Private one-to-one metal clay tuition. Beginners and advanced metal clay classes. Craft school running a program of classes including metal working, cold connections, metal clay, enameling, wire work and kiln formed glass. A variety of jewellery making classes are run here including metal clay classes. Silver metal clay and glass classes. Full range of Precious Metal Clay PMC classes including beginners and advanced PMC, combining polymer clay, bead making etc. Illustrator, artist and teacher Terry Kovalcik has had work included in some of the top PMC books. He offers beginners, advanced and PMC certification classes in a variety of US locations. A wide range of classes are available at this school including silver work, glass fusing, lampworking, enamelling, beading, chain making etc. PMC beginners and introductory classes, project based metal clay classes, bronze clay and copper clay classes.